"On the market": What are the odds of F1 star Daniel Ricciardo moving on? 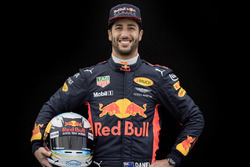 Red Bull Racing front runner Daniel Ricciardo has confirmed that he is "on the market" for a 2019 Formula 1 seat after team director Helmut Marko surprised F1 by stating that Red Bull is seeking alternatives. Marko said on Tuesday that while Max Verstappen has a contract, "Ricciardo is on the market. We must certainly look for alternatives. We will not be caught off guard." During the Thursday FIA press conference preceding the Japanese F1 Grand Prix, Ricciardo addressed Marko's comments and said, "The only thing I'm aware of is that my contract ends next year. I guess he's referencing that, he's not referencing it for next year. "I'm 99.9% sure I've got a seat with Red Bull Racing next year! Nothing's been said between us about next year. "I don't think he has a plan beyond '18, I should be racing next year. He wasn't too disappointed after Malaysia, I think I'm still OK," he joked. Ricciardo finished third in Malaysia, behind Lewis Hamilton and team-mate Verstappen." When asked about Red Bull's slow start to the season, and whether a repeat would cause Ricciardo to jump ship, he replied, "It's certainly a plan, it has been. "I still don't really know why [during] the last few years we've had slow starts and found a way to come back, so I guess the idea is that so there's not many changes for next year...we hopefully start stronger. "That's the plan, that's the wish, we go from there. For sure if next year's not competitive at all that'll be addressed. From where we are now, next year we should be competitive, hopefully as competitive as we can be." Ricciardo was many F1 insiders' choice for Driver of the Year last season and this year he has again been exceptional in races, picking up podiums and even a win against the odds. He would walk into most F1 teams based on his race craft and consistency and it would be entirely normal if his representative had spoken to other top teams during another less than ideal season for the Red Bull team. Marko may not appreciate that. 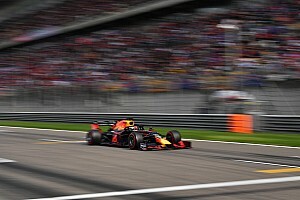 However there is getting away from the fact that 11 times already he has been out qualified by teammate Max Verstappen; this has elevated the Dutchman and one senses that he is the ace that Red Bull will move heaven and earth to hold onto. Both drivers are targets for Mercedes and Red Bull, while Renault know that if Ricciardo moves, Carlos Sainz would be pulled back into Red Bull, while Ricciardo would also be a target for McLaren. So what are the likelihoods as things stand, on a scale of one to ten? From Ricciardo's point of view this depends very much on the engine that the team will be using in 2019. 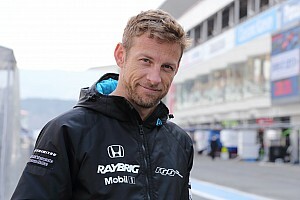 If it is Honda and that motor hasn't improved significantly by June, he will be looking to move. He also knows that long term he needs to get away from Verstappen as if the Dutchman is starting ahead on the grid, with experience, he is likely to hook it up and finish ahead in races on a consistent basis too. Ricciardo wants to be world champion and he certainly has the tools to do it, but he will need a different car from Verstappen to achieve it. If Verstappen moves first, to Mercedes or Ferrari, then staying is an option. 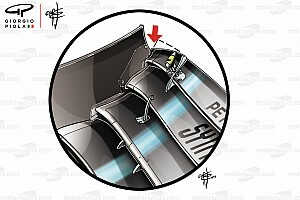 Again this depends on other factors, the main one being Sergio Marchionne's belief in lead driver Sebastian Vettel. The German did really well in 2015 then last year things got frayed. 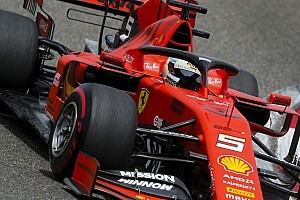 This year he started really well and has had the car Ferrari has been waiting for for years, but critical points have slipped away in avoidable situations like Baku and Singapore. Ricciardo beat Vettel fair and square in 2014 at Red Bull, would he do so again at Ferrari and how would Vettel react if Marchionne moved for him? Marko's comments look to me like a 'hands-off' warning to Marchionne that he cannot have Verstappen, who would probably be the Italian's first choice. Ricciardo would fit in very well alongside Lewis Hamilton in 2019, especially if Hamilton is a four times or even five times champion by then. Hamilton's contract also expires at the end of 2018 so if he decided not to continue, or Ferrari switched Vettel for him, then Ricciardo would fit in well there too, possibly alongside Esteban Ocon. Toto Wolff certainly has an eye on Verstappen too, but the warning from Marko extends to both suitors. Ricciardo has a good relationship with McLaren executive director Zak Brown and the team will be looking beyond Fernando Alonso at the end of next season. McLaren will have the Renault engine as a customer and Ricciardo would prefer to get a works seat, but by 2019 the engines are likely to have converged on performance to a large extent, as happened in the V8 era. But still McLaren will be at a slight disadvantage there. They are unlikely to be the team Porsche aligns with if it comes in as an engine supplier in 2021 as they are a direct competitor in the luxury car market. So Ricciardo would want to know what the long term engine plan was. A works drive in 2019 in a team that targets improvement by then and aims to challenge for wins and titles thereafter. The timing could be good for a move to this team and Sainz is on a piece of elastic to Red Bull if they lose either of their stars, so it could be a swap. It's possible, Ricciardo certainly knows Renault well and they know him. 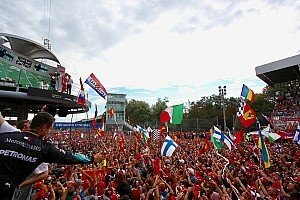 But it might not be his first choice and it would depend on Ricciardo's belief in Cyril Abiteboul as a team principal.